With the free-to-play option came a new operation. Well, not a new one, but let’s just call it ‘revised’. Nightmare Mode Explosive Conflict was released with the 1.5 patch which offers a new challenge for operation groups. The Toth and Zorn encounter is not radically different, but there are definitely some changes that you will need to be aware of before diving headlong into it. The basic mechanics of the encounter remain the same. Tank swaps, berserk, fearful and red reticules are all carryovers from hard mode. The first new mechanic will be at the start of the fight which is a DoT called Baradium Poisoning. It is applied to everyone in the operation group and can only be cleansed by using a med pack. The type of med pack doesn’t matter, it just has to be used so that the ability to use one during the encounter is taken out of the fight. As soon as you see the green debuff appear on your bar you will want to pop your med pack so that you aren’t hit with any ticks of the DoT that’s applied. 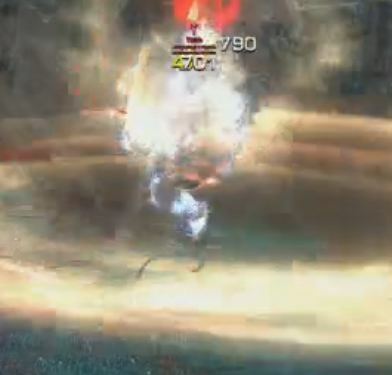 Aside from increased damage in all of the bosses abilities, one especially dangerous one is the red reticules that spawn when the bosses get to 60%, 20% and 5%. Combined with the stream of AoE damage that goes out during these phases, getting hit by a ground spike from the reticules will most likely be a one shot. Just stay out of them like you’re supposed to. The next thing you will have to concern yourself over is the ground pound ability from Toth after a swap. It is now combined with a knockback mechanic which isn’t too difficult to cope with, but it is just something to be aware off. If you keep a distance of 25 meters you can avoid being hit. The final change is after both Toth and Zorn are defeated. 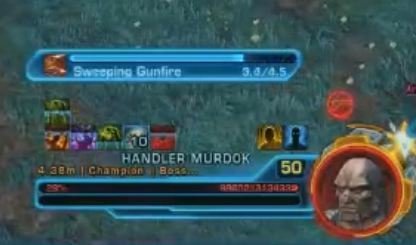 When Handler Murdok jumps down into the arena, have your tank taunt and point him away from the ops team. His Sweeping Gunfire and Death From Above abilities are no longer able to be interrupted. He’s still easy to kill, just be aware of this new mechanic. This first challenge in nightmare mode is a good warmup, but they will get increasingly difficult. Remember when you were first learning the Firebrand and Stormcaller encounter? Well, be prepared to do it all over again. This new challenge comes just in the nick of time for those who are starting to get Asation hard mode on farm. My only complaint is that I’m sick of looking at the place. Sure, the encounters may be new, but this is the operation that we ran over and over again for a quarter of the year. I could use a change of scenery. Let’s hope that Terror From Beyond Nightmare isn’t as long of a wait.